This is no longer the case. Recent legislation has amended the law to assess two points on the motorist’s driving record for each cell phone conviction for a violation committed on or after February 16, 2011. 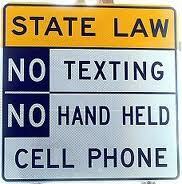 I believe a driver will think twice before violating a law which could result in the loss of driving privileges. An experienced traffic lawyer can keep you from losing your license.